Story courtesy of the Sam Lane and the Herald Sun, Australia's leading newspaper for Aussie Rules Football. Click HERE for the original story. A match under lights at the MCG in June will be a contest between two AFL clubs unlike any before. In an historic curtain-raiser, women will play for Melbourne and the Western Bulldogs before a round-14 clash featuring more familiar male faces who play for the same sides. Fast forward to 2020 - the year the AFL has set as the target for a nationally televised female competition - and the idea is that the elite league as we know it today will support both male and female teams. This year's one-off women's game, approved by the AFL executive this week, is part of that grander plan. The extraordinary Saturday night fixture is the result of quiet but determined lobbying for the AFL to get more serious about women's footy. On Wednesday, the league will announce the unprecedented Melbourne-Bulldogs game as a feature of women's round - a themed week the AFL introduced years ago with the best of intentions, but which has tended to lack substance, until now. 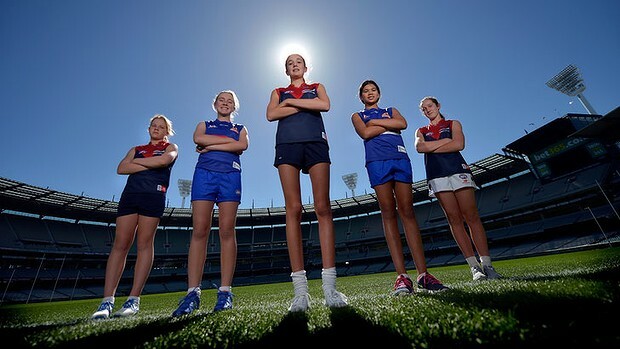 Before the June 29 match, there will be a ''draft'' where the best female footballers will be ''recruited'' by Melbourne and Bulldogs selectors. The match will also promote other females forging careers in football - umpires, trainers, statisticians and teachers, such as the VFL's pioneering assistant coach, Peta Searle. Melbourne, a club that can rightly claim to be an early-adopter where women's footy is concerned, asked the AFL last year for a home game in women's round with a female curtain-raiser in mind. 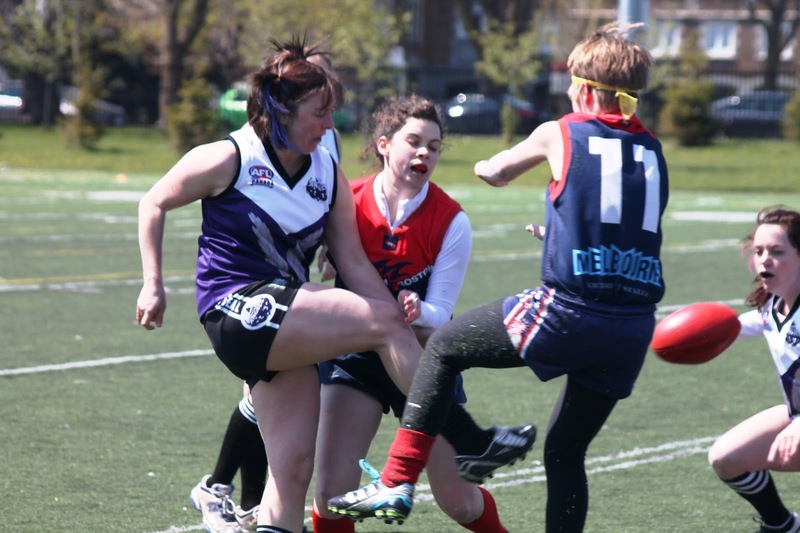 The major sponsor of the Victorian Women's Football League, Melbourne has not merely noticed that women's footy is the fastest-growing area of AFL participation, it has acted. Debbie Lee, considered the greatest female Australian rules footballer given she has won three VWFL premierships, five Helen Lambert Medals (the equivalent of the AFL's Brownlow) and will continue to add to her 263-game career this year, has also been instrumental in bringing the dream of the first women's match between AFL clubs to life. Significantly, Lee, who has worked as a community development manager at both the Western Bulldogs and now Melbourne, has also had the ear of AFL boss Andrew Demetriou in recent times through a league mentoring program. The Bulldogs can also claim a hand in championing women's footy, largely through the generosity of club director Susan Alberti who has donated thousands to help prop up the VWFL. Bulldogs chief executive Simon Garlick did not hesitate in agreeing to the match. Never far from the spotlight, resident Montreal Angel Aussie Rules Superstar Margo Legault recently gave an exclusive interview to Australian media outlet SBS on the rigours of playing the game from the land downunder in the 'Belle Province', Quebec. To listen to the interview click this link HERE.